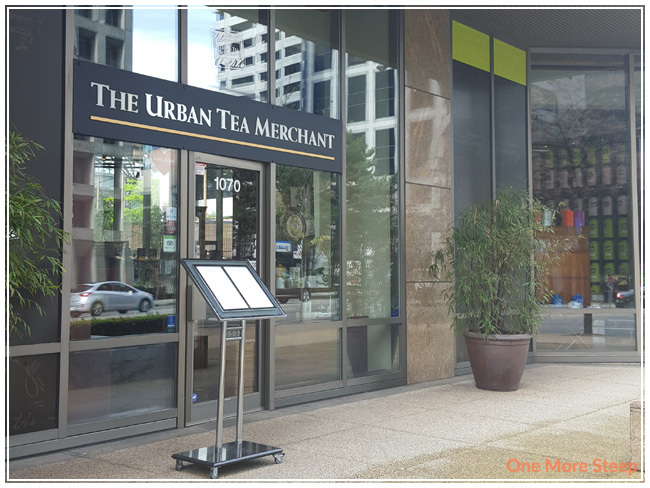 I recently went to The Urban Tea Merchant, located in downtown Vancouver, with a group of friends. 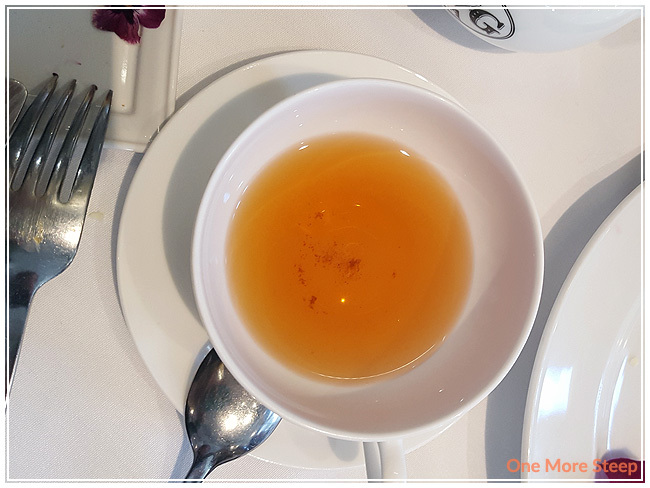 I had been to a few places before for afternoon tea, but I had not been to The Urban Tea Merchant before so I was excited to give it a try. The space is split into a section for retail (where you can purchase prepackaged or loose teas, tea ware) and then there is seating areas both upstairs and downstairs for the tea service. Each table had a tin of tea set out so you can smell the tea. The one that happened to be on our table was the Tea Party tea, which I felt was quite appropriate! Tea Party smelled like a sweetened black tea, I didn’t end up getting this one. 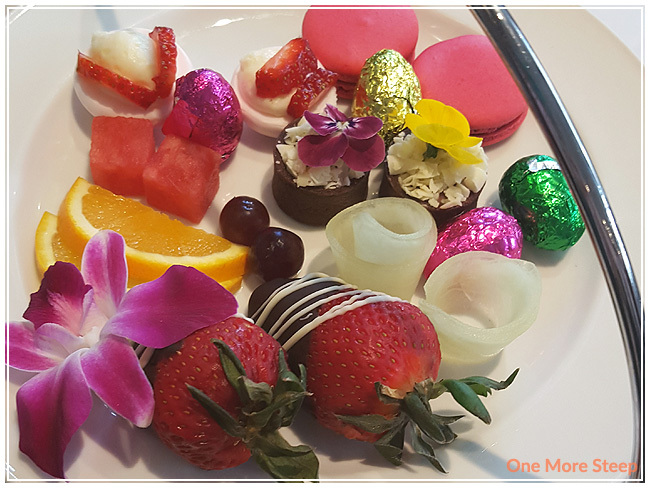 Because it was the Easter long weekend, they had a few special sets to choose from. I opted for the Easter Brunch Tea Set. Their prices from what I found online vary from $18-88, depending on what time of day you go and what you’re ordering. The Urban Tea Merchant’s tea menu is insanely long. Each set menu comes with a tea of your choice – up to $8. For teas that are more than $8, you end up paying the difference. 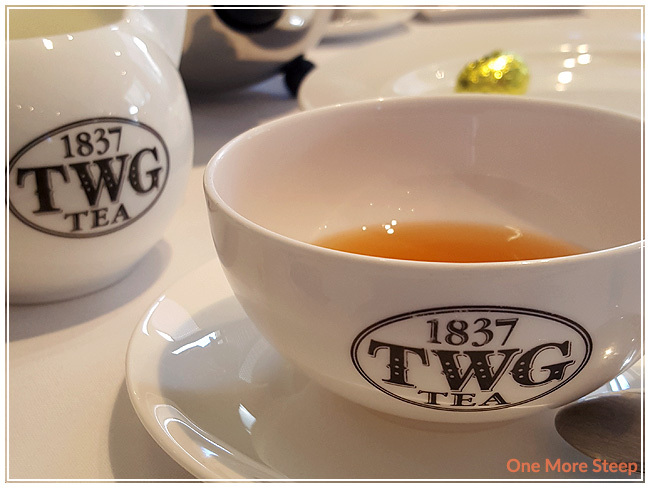 One of the teas in the menu was priced at $217! I might like my tea, but I wasn’t able to pay an $200+ for a pot of tea. 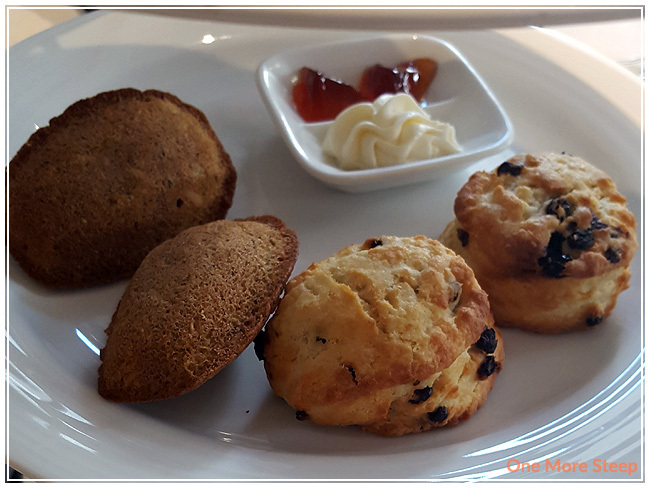 On the second tier there was the Freshly Baked Scone, Victorian Créme, 1837 Black Tea Jelly, and Coconut Tea Madeline. Last but certainly not least is the bottom/third tier, the savoury items! 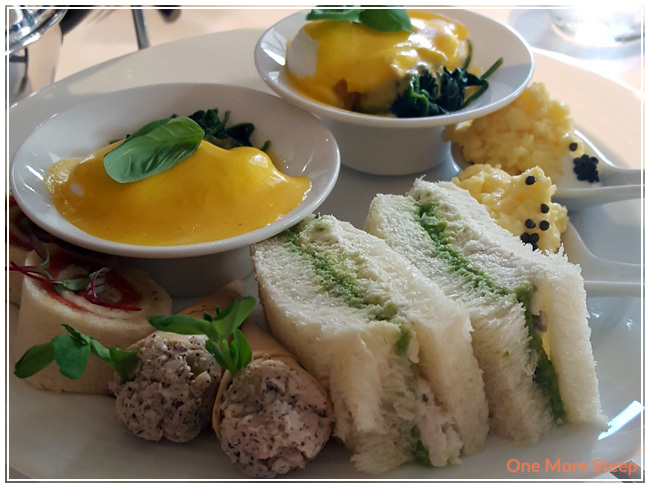 Smoked Salmon Pinwheel, Imperial Lapsang Souchong Tea Chicken Cone, weekend in Casablanca Tea Inflused Halibut with Minted Pea Puree, Poached Egg Florentine with Hollandaise, and Scrambled Eggs with Northen Divine Caviar, Creme Fraiche, and Chives. 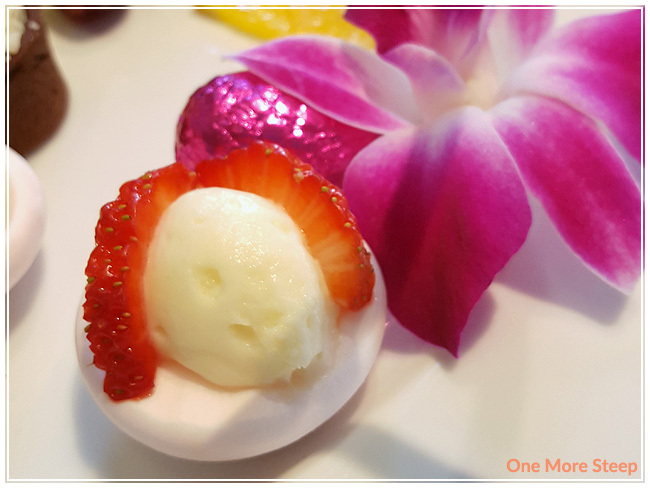 My favourite was the Petite Pavlova, it’s hard to tell but the meringue is a very delicate, light shade of pink. 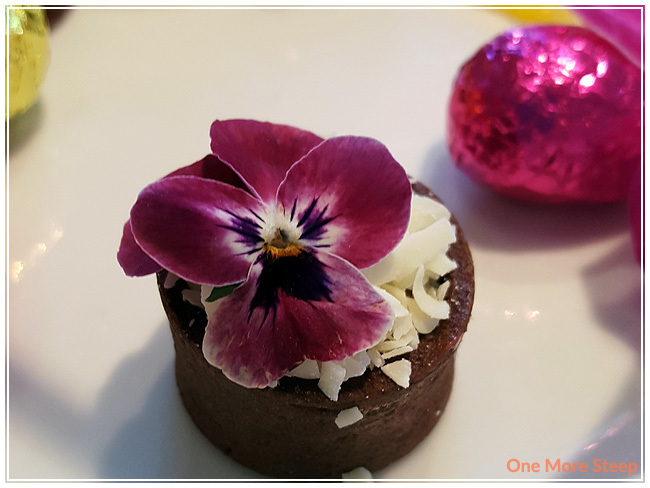 It was sweet and delicious with just the right amount of freshness added on top of the sweet shell. This is a tea blog, so I should mention the tea that I picked! I picked the Happy Birthday Tea, which is a black tea with red berries and vanilla. It smelled richly of strawberries and vanilla, which added a nice depth to the flavour of the tea itself. I wound up adding a bit of sugar which I found helped to brighten the taste of the berries and bring out more of the vanilla. The tea itself was pleasant without the sugar, but much more enjoyable with the added sweetness. The Urban Tea Merchant was a fun experience. I could see it being a nice location to go to with a group of girlfriends or for a special date. 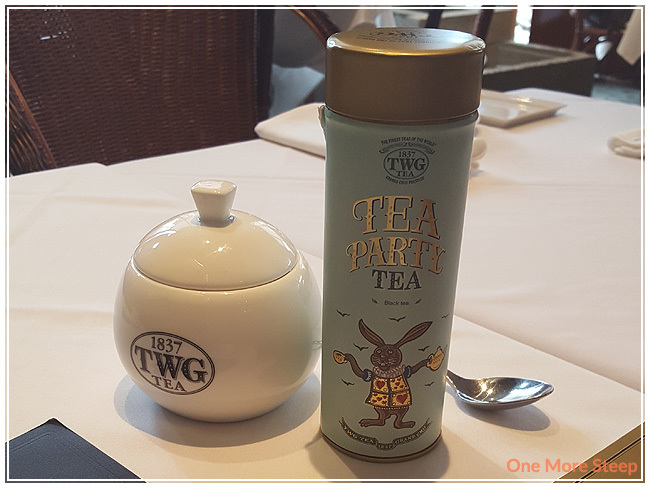 The service was very good, and the servers are more than happy to bring you tins and tins and tins of teas to smell before you make your decision on what tea to have with your tea service. While $38 may seem expensive, I felt it was well done tea service. 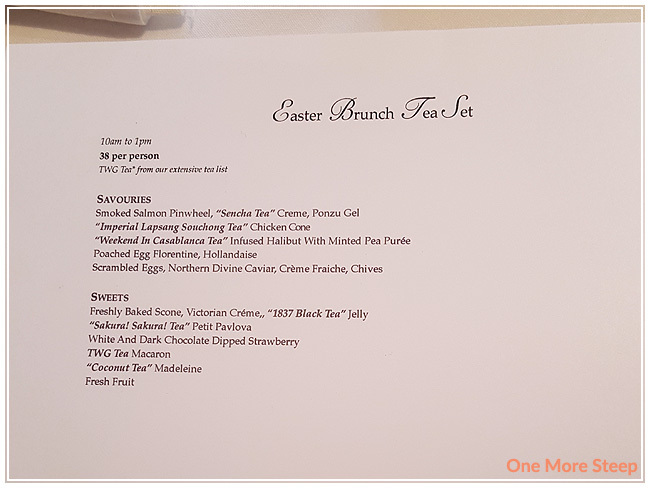 The brunch menu was well-rounded with a good mix of savoury and sweet items, there was the inclusion of tea as some of the ingredients which I felt was a clever use of tea, and the service was fantastic. I would definitely go to The Urban Tea Merchant again, although it won’t be a regular occurrence.